Since June 1967, operations in the West Bank and Gaza by the U.N. Relief and Works Agency for Palestine Refugees in the Near East (UNRWA) have been carried out in accordance with an explicit agreement with Israel, which has repeatedly indicated its support for the agency's humanitarian activities. Yet this support, which reflects recognition of the genuine humanitarian plight of many of the refugees, has not prevented the Israeli government from expressing its conviction that UNRWA could better serve its beneficiaries by following in the footsteps of the U.N. High Commissioner for Refugees (UNHCR), specifically with regard to resettlement and local integration. As recently as 2011, Jerusalem noted that "UNRWA's mandate should include … in the Palestinian context … the broadly applied United Nations goals of resettlement and local integration of refugees." Given UNHCR's remarkable success in finding sustainable solutions for millions of refugees around the world, UNRWA would do well to implement similar policies for the Palestinians. 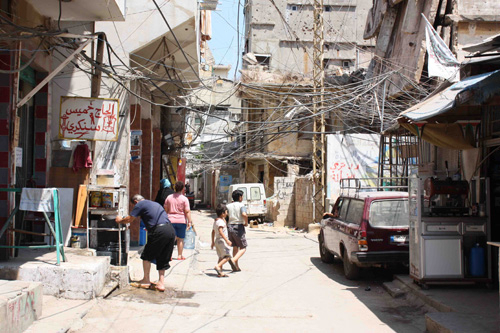 Conditions in UNRWA-maintained "refugee camps" remain subpar and, for the most part, residents enjoy few of the rights and options available to citizens. This directly contradicts the agency's original mandate to engage in activities that promoted the integration of refugees into their host countries. Of the three durable solution strategies employed by UNHCR—repatriation, local integration, and resettlement—protracted situations tend to be those in which repatriation is unfeasible, whether due to a continuing conflict within the prospective country of repatriation or to the demographic implications repatriation would entail. Given UNHCR's successful implementation of local integration within diverse refugee settings over the course of several decades (see Table 1), on the one hand, and the overwhelming opposition in Israel to a large-scale migration of Palestinians to the country, on the other, local integration seems the best option. The alternatives, including continued suspension of durable solutions by UNRWA until the signing of a full-fledged Israeli-Palestinian peace agreement will make such an agreement progressively more difficult to achieve and, most importantly, will deprive UNRWA's beneficiaries of their right to become fully integrated and active citizens within the societies in which they now live. But is local integration consistent with UNRWA's mandate? There are two levels on which to examine the question: procedural and substantive. For both, a strong case can be made that the agency is free to promote local integration if the commissioner-general chooses to do so. [i] UNHCR: Guinea Global Appeal 2009 Update, p. 200. [ii] 2012 UNHCR Country Operations Profile—Uganda. [iii] Number of naturalized refugees, 1996-2005, 2005 UNHCR Statistical Yearbook—Belize, accessed June 8, 2010. [iv] Finding Durable Solutions, UNHCR Global Report 2010, p. 60. [v] Alexandra Fielden, "New Issues in Refugee Research: Local integration," UNHCR Policy Development and Evaluation Service, June 2008, p. 15. [vi] "Report of Refugee Populations in India," Human Rights Law Network, New Delhi, Nov. 2007; W.F. Adams, "Tibetan Refugees in India: Integration opportunities through development of social, cultural, and spiritual traditions," Community Development Journal, Apr. 2005, pp. 216-9. [vii] The figure is drawn from Fielden, "Local integration," p. 17, and "Papua New Guinea," 2002 UNHCR Statistical Yearbook, pp. 420-1. As is true of most U.N. organs, the General Assembly resolutions pertinent to UNRWA are the primary source for determining the agency's mandate. Yet specific activities need not be explicitly cited within such resolutions in order to be considered a legitimate domain of activity for an agency. This conclusion was elaborated by none other than Lance Bartholomeusz, chief of UNRWA's International Law Division, who stated that the agency's actions themselves, simply by having been carried out—provided they are consistent with one or more of the U.N.'s goals—have a measure of legitimacy and essentially serve to define the agency's mandate. Furthermore, UNRWA considers the discretion of its commissioner-general, in consultation with the Advisory Commission, the ultimate arbiter of what its mandate entails: "The Assembly has provided UNRWA with a flexible mandate designed to facilitate, rather than restrict, the agency's ability to act as and when the Commissioner-General, in consultation with the Advisory Commission as appropriate, sees fit." The fact that a policy is not currently implemented by UNRWA cannot in itself serve as grounds for regarding it as outside the agency's mandate as noted by Bartholomeusz: "The Agency's mandate and its actual activities are distinct: UNRWA's actual activities at a given time are a subset of the activities within its mandate." This means that incorporation by UNRWA of lasting solutions, such as local integration or resettlement, would not necessarily require an explicit alteration in any of the pertinent General Assembly resolutions. If the commissioner-general were to decide on such activities, this would seem to suffice from a procedural perspective. While Bartholomeusz argues that UNRWA "does not have a mandate as such to seek durable solutions for Palestine refugees," this assertion is belied by his own acknowledgment that "in its early years, it had a mandate to engage in activities that promoted the integration of refugees into their host country." He then goes on to argue that the integration aspect of the mandate "probably ended by 1960 when reference to 'reintegration' was dropped from General Assembly resolutions relating to UNRWA." Still, this, too, should not prevent the organization from renewing activities in this area. Given the strong substantive grounds for viewing local integration as instrumental to UNRWA's human development goals, the plausibility of ruling it out on equivocal procedural grounds seems rather weak. Nor does the fact that UNHCR, unlike UNRWA, has an explicit mandate for local integration and resettlement imply that UNRWA is barred from pursuing such strategies. As Bartholomeusz noted, the agency's mandate is "rarely expressed in terms of what the agency may not do." The decision as to whether UNRWA may or may not engage in local integration, or any other activity pertinent to its beneficiaries' interests, ultimately rests with its commissioner-general. Procedural questions aside, perhaps the clearest and most substantive argument in favor of local integration derives from UNRWA's stated commitment to advancing the human development of its beneficiaries: "UNRWA has a clear mandate to engage in human development, as defined by the U.N. Development Programme [UNDP]." Citing a UNDP human development report, UNRWA's chief legal counsel noted that the concept of human development includes "political, economic and social freedom" and that the enjoyment of "human rights to the fullest extent possible … underpins the agency's current overall strategy and programme management." human development—our defining mandate—is not only about helping to ensure a decent income level and standard of living for everyone but also about helping to ensure that every person has the capacity, right, freedom, and choice to take and be part of the decisions that affect a person's life, to select the leaders that take those decisions, and to then hold them to account. By the UNDP's own definition, which UNRWA expressly adopts, it is fundamental to the goal of advancing human development to assist "governments at all levels to address MDG [Millenium Development Goals] gaps and reversals by strengthening their ability to deliver, to be accountable, transparent and responsive—in particular to those traditionally excluded from services and the opportunities of citizenship." There can be little debate as to the important role that full integration in the social and political fabric of some polity through naturalization or acquisition of citizenship plays in an individual's human development. This same principle was explicitly stated in the seminal 1951 U.N. Refugee Convention, which stipulated that "the contracting states shall as far as possible facilitate the assimilation and naturalization of refugees [and]… expedite naturalization proceedings." Local integration is, thus, ultimately geared toward naturalization and is clearly consistent with a human development agenda, especially in relation to refugee matters. It is difficult to see how UNRWA's avowed commitment to ensuring that its beneficiaries "enjoy human rights to the fullest extent possible" can be interpreted other than entailing a willingness to at least make some efforts to promote Palestinian refugees' local integration in their current places of residence. The fact that the agency looks favorably upon the attainment of citizenship by most of its beneficiaries in Jordan suggests a tacit acceptance of the fact that a measure of local integration is indeed consistent with its mandate. Yet, the agency refrains from reaching the logical conclusion that naturalized individuals should no longer be considered refugees. This could not occur with regard to other refugee groups since UNHCR, under the terms of the 1951 refugee convention, would be compelled to rescind refugee status from those of its beneficiaries who obtain citizenship. refugees born in asylum countries who might otherwise become stateless; and/or refugees who, due to their personal circumstances including the reasons prompting their flight, are unlikely to be able to repatriate to their country of origin in the foreseeable future; and/or refugees who have established close family, social, cultural, and economic links with their country of asylum, including those who already have, or have the capacity to attain, a considerable degree of socio-economic integration. In short, there are strong substantive grounds to view local integration of refugees as a key aspect of their human development, a goal to which UNRWA is openly committed. This is certainly the way in which UNDP and UNHCR regard the matter, reflecting a basic acceptance of the core principles of democracy and human rights, as commonly understood and interpreted. Moreover, UNRWA's own interpretation of its mandate does not imply procedural or legal reasons to prevent it from including local integration within its activities should it, or more specifically, its commissioner-general, choose to do so. Earlier in the twentieth century and prior to the establishment of UNHCR, a number of instances of major population exchanges transpired, all creating, for a time, massive refugee crises: in 1923 between Turkey and Greece (involving an estimated two million individuals); between 1944 and 1951 in the context of the large-scale demographic upheavals that transpired in post-World War II Europe (an estimated twenty million people); and in 1947, between India and Pakistan (involving some 14.5 million individuals). All of these cases, as well as that of the State of Israel, which naturalized an estimated 586,070 Jewish refugees from Arab countries in the years 1948-72, demonstrate the feasibility of successful integration of a large number of refugees as an enduring solution. A 2008 UNHCR study, documenting its own experience over the course of several decades in implementing local integration policies (see Table 1), showed the main instances where integration had been successfully implemented (or was being envisaged) in cooperation with local authorities. Defining local integration as consisting of three dimensions—legal, economic, and sociocultural—the survey made it clear that this option implied that "refugees will remain indefinitely in their country of asylum and find a solution to their plight in that state. Ideally, but not necessarily, that will involve the acquisition of citizenship." The absorption of hundreds of thousands of Indo-Chinese refugees in the early 1980s by China has been referred to by Antonio Guterres, the U.N. high commissioner for refugees "as one of the most successful integration programmes in the world." In Central America, "the welcoming and integration of displaced people in the 1990s contributed to the overall stability of the region." Economically integrated refugees contribute to development of the host country rather than constituting a "burden." They become progressively less reliant on state aid or humanitarian assistance and better able to support themselves. Social and cultural interactions between refugees and local communities enable refugees to live amongst or alongside the host population. There appears to be an emerging consensus concerning the ineffectiveness of policies which insist that everyone should live in their country of origin and, if they have been forced into exile, return to that country. In protracted refugee situations, it is in fact often the case that the people concerned have never lived in their putative "homeland." … In this context, local integration becomes the most forward-thinking and realistic refugee solution. The existence of refugees is one of the consequences of civil or international conflict. It has, however, become increasingly clear that refugees can themselves play a destabilizing role, aggravating or perpetuating conflict. In particular, in those protracted refugee situations where large-scale repatriation or migration is unfeasible, local integration provides the only means of enabling refugees to develop their human potential and to become productive members of their host societies. The alternative of maintaining refugee populations in a state of limbo over a protracted period of time, according to UNHCR analyst Jeff Crisp "creates a situation in which refugees—especially young males—are more prone to becoming involved in illicit and antisocial activity." In a 2004 report, UNHCR identified some of the negative consequences of maintaining refugees in an indeterminate state, referring to "wasted lives, squandered resources, and increased threats to security." Conditions within refugee camps and among refugee communities typically foster poverty and poor standards of health and education, which in turn are often associated with radicalism and engagement in illicit, sometimes violent, behavior. Individuals with protracted refugee status tend to remain in a downward spiral of poverty, due to the fact that they typically suffer from all three dimensions of poverty identified by the World Bank: "lack of income and assets; voicelessness and powerlessness in the institutions of State and society; and vulnerability to adverse shocks … The prolongation of refugees' dependence on external assistance also squanders precious resources of host countries, donors and refugees." a consequence of protracted refugee situations is that they can serve as incubators for future problems. Festering crises can nurture instability and conflict. Large, disaffected, and alienated populations relying on subsistence-level handouts are prime targets for recruitment into armed groups. There is a growing understanding in the policy and scholarly community as to the beneficial effects of local integration as a means of securing durable solutions for protracted refugee problems. This understanding reflects several decades of experience acquired by UNHCR in the different arenas of its activity. Increasingly, scholars have taken note of this experience and have developed a body of theory that helps to explain the mechanisms through which local integration serves as an effective means for enabling beneficiaries of international humanitarian assistance to achieve independent, productive lives within the social and political fabric of their host countries. Moreover, there can be little doubt that such outcomes are important for the achievement of regional stability and for lessening conflict. Unlike UNHCR, UNRWA interprets its mandate in such a manner as to preclude local integration and resettlement as proactive strategies. This (mis)interpretation—not required by the General Assembly resolutions that together constitute UNRWA's mandate—prevents UNRWA from implementing policies that have a proven record of resolving the plight of a great many refugees all over the world. Were UNRWA to adopt policies of local integration and resettlement, as successfully practiced by UNHCR, an important contribution would be made toward addressing one of the core obstacles in the quest for a solution to the Israeli-Palestinian conflict. While there would no doubt be many advantages to such a development, none would gain more than UNRWA's own beneficiaries, who would be assisted in building lives of dignity and self-reliance for themselves and their children. Uri Resnick is policy advisor to Israel's minister of foreign affairs and former deputy director of the Department for U.N. Political Affairs in Israel's Ministry of Foreign Affairs. The views expressed here are solely those of the author. See the Comay-Michelmore exchange of letters from June 14, 1967, UN Juridical Yearbook, 1968, pp. 47-9; see, for example the statement by Gilad Cohen, Israel's representative to the Fourth Committee session on UNRWA, Permanent Mission of Israel to the United Nations, Nov. 2, 2010. "Palestine refugees' properties and their revenues. Report of the Secretary-General," U.N. General Assembly (UNGA), A/66/318, Aug. 22, 2011. "Mandating and delivering: Analysis and recommendations to facilitate the review of mandates," report of the secretary-general to the General Assembly, U.N. doc. A/60/733, Mar. 30, 2006, cited in Lance Bartholomeusz, "The Mandate of UNRWA at Sixty," Refugee Survey Quarterly, 2-3 (2009): 453. Bartholomeusz, "The Mandate of UNRWA at Sixty," pp. 455, 474. Ibid., p. 471, fn. 84. "Defining and measuring human development," Human Development Report 1990, U.N. Development Program, p. 10, cited in Bartholomeusz, "The Mandate of UNRWA at Sixty," p. 465. Bartholomeusz, "The Mandate of UNRWA at Sixty," pp. 464-5. Rebeca Grynspan, U.N. Development Programme associate administrator, "Debate on Democracy and the Millennium Development Goals," The International Conference of New or Restored Democracies Interactive Debate on World Democracy Day, New York, Sept. 15, 2010. Convention Relating to the Status of Refugees, 1951, UNHCR, Geneva, July 28, 1951, art. 34, cited in Alexandra Fielden, "New Issues in Refugee Research: Local Integration: An under-reported solution to protracted refugee situations," research paper no. 158, U.N. High Commissioner on Refugees (UNHCR) Policy Development and Evaluation Service, June 2008, p. 2. "Core Programme Budget," UNRWA, accessed June 7, 2012. Convention Relating to the Status of Refugees, 1951, art. 1 C(3). "Conclusion on Local Integration," no. 104 (LVI), UNHCR, Oct. 7, 2005. Joseph B. Schechtman, "Postwar Population Transfer in Europe: A Survey," The Review of Politics, Apr. 1953, p. 151. Ada Aharoni, "The Forced Migration of Jews from Arab Countries and Peace," The Neaman Institute, Israel Institute of Technology-Technion, Haifa, Aug. 2002. Fielden, "Local integration," p. 2. News Stories, UNHCR, May 11, 2007. Fielden, "Local Integration," p. 12. Ana Low, "Local Integration: A Durable Solution for Refugees?" UNHCR: Reintegration and Local Settlement Section, Geneva, 2005. Fielden, "Local integration," p. 5. Jeff Crisp, "The local integration and local settlement of refugees: A conceptual and historical analysis," working paper no. 102, UNHCR, Apr. 2004, p. 6; see, also, Christian G. Mesquida and Neil I. Wiener, "Male Age Composition and Severity of Conflicts," Politics and the Life Sciences, Sept. 1999, pp. 181-9; Helen Ware, "Demography, Migration and Conflict in the Pacific," Journal of Peace Research, July 2005, pp. 435–54; Helge Brunborg and Henrik Urdal, "The Demography of Conflict and Violence: An Introduction," Journal of Peace Research, July 2005, pp. 371-4. "Protracted Refugee Situations," Executive Committee of the High Commissioner's Programme, UNHCR: EC/54/SC/CRP.14, June 10, 2004, p. 2. Related Topics: Palestinians | Fall 2012 MEQ receive the latest by email: subscribe to the free mef mailing list This text may be reposted or forwarded so long as it is presented as an integral whole with complete and accurate information provided about its author, date, place of publication, and original URL.